The hosts took the lead after 18 minutes. Matty Bryan appeared to be offside as he broke through the Chasetown back line and fired beyond Curtis Pond. Pond then made a stunning save to keep it 1-0 midway through the half. 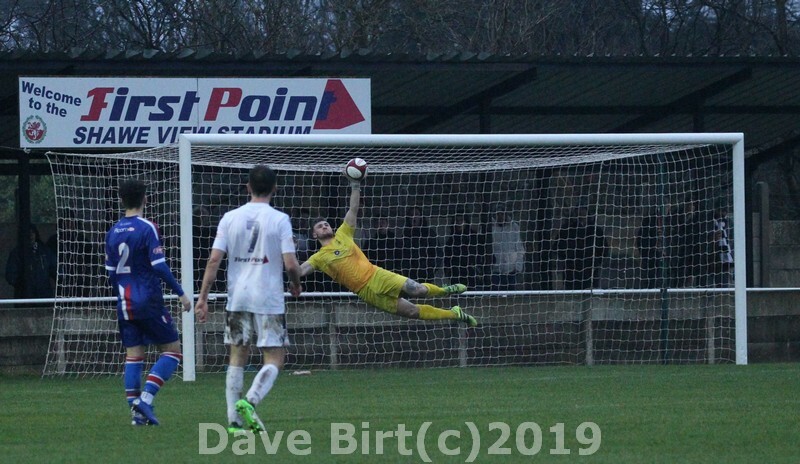 Trafford made it 2-0 when Chasetown failed to deal with a free kick and Jimmy Moore stabbed home from 6 yards despite the visitors appealing for handball against the goal scorer. Chasetown were a whisker away from reducing the deficit. Niall Flint shot from long range and Elliot Wynne palmed the ball wide for a corner. It then took a great tackle from Keil O'Brien to deny Chase substitute Liam Kirton. Chasetown forced the Manchester side back in the second half but the hard work was undone with a goal on the counter attack with substitute Liam Ellis drilling home for 3-0 five minutes from time.